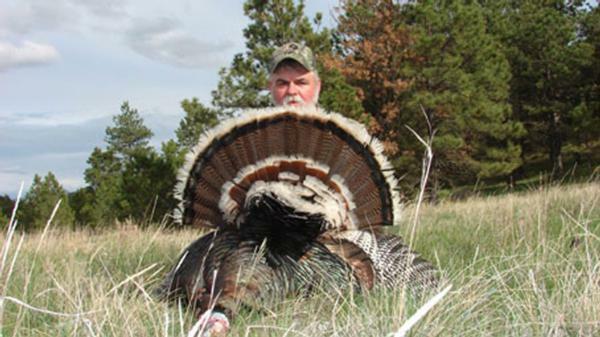 Turkey hunting with Routier Outfitting is for the true Merriam's subspecies of Turkey. You can expect 1/2 inch spurs and 6-inch beards on average but the true trophy of these turkeys is the almost snow white tail feather tips. We use both blinds and run n gun methods of hunting. The blinds are set up near roosts and when running n gunning we are hunting known staging areas of the turkeys. We will be hunting pre-scouted river bottoms, pine tree covered hills and rolling prairie. 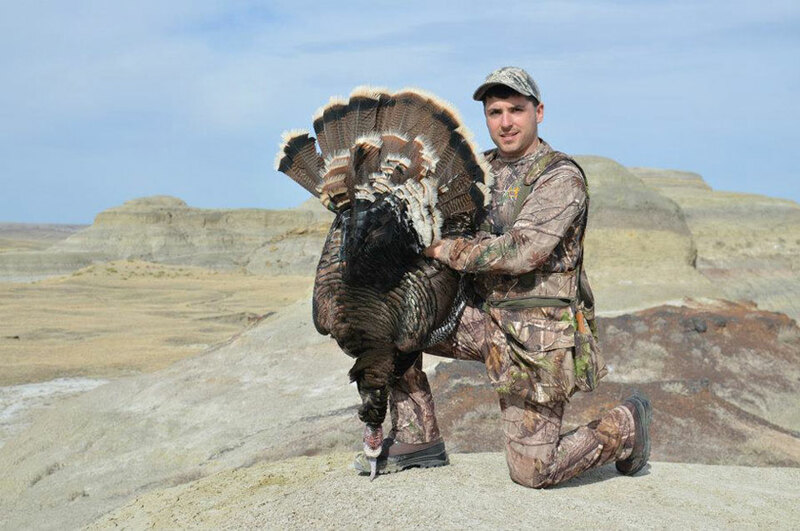 Even though Merriam's Turkeys are said to have the weakest gobbles up all Turkey subspecies these birds have very little hunting pressure and are not call shy. 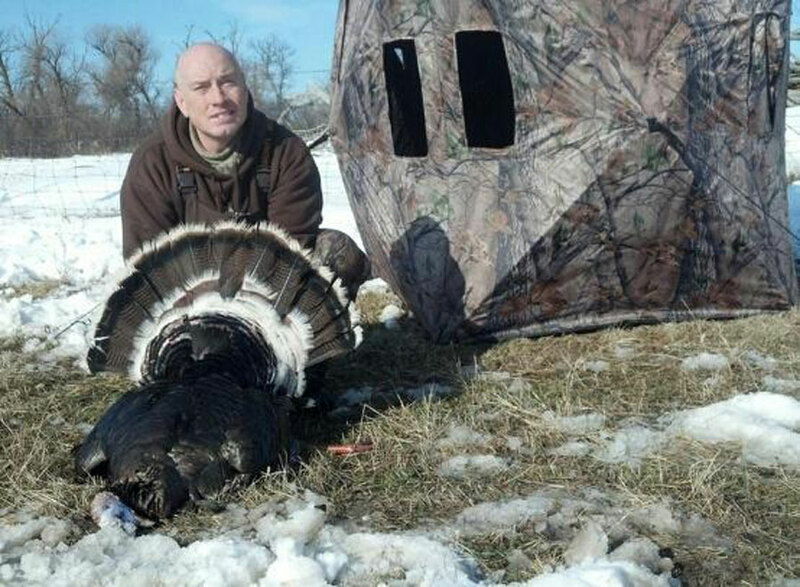 When hunting Merriam's Turkey with Routier Outfitting you can use either shotgun or archery equipment. There is both a spring and fall season. 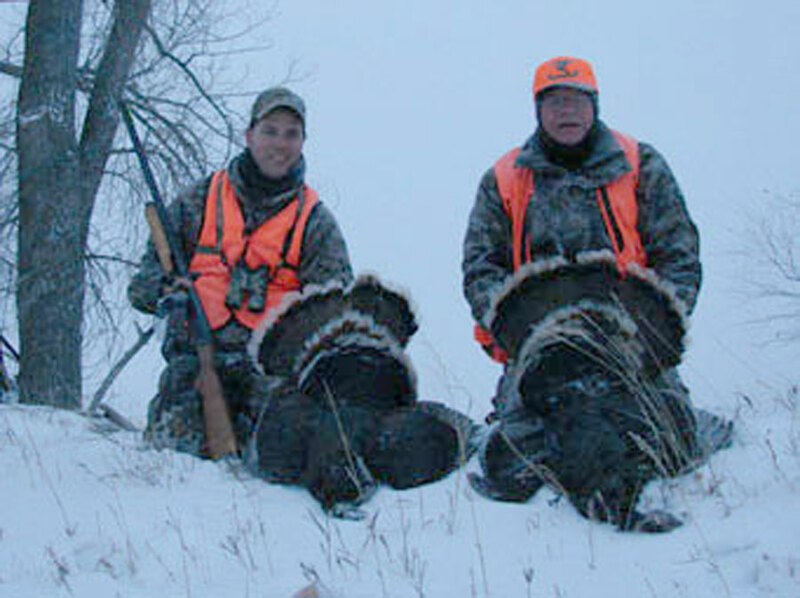 The spring Turkey season traditionally starts the second Saturday of April and goes through the end of May. 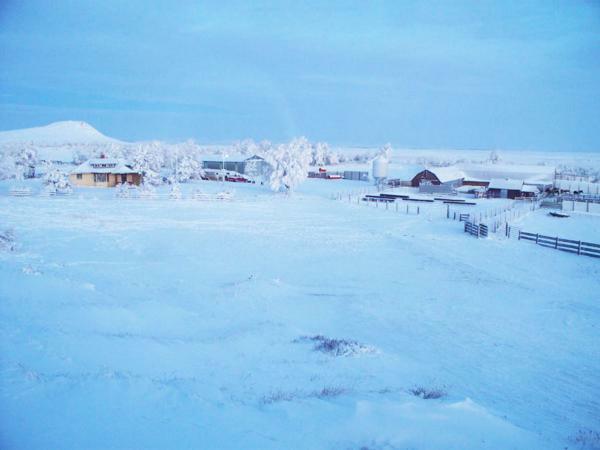 The fall season traditionally starts November 1 and goes through January. 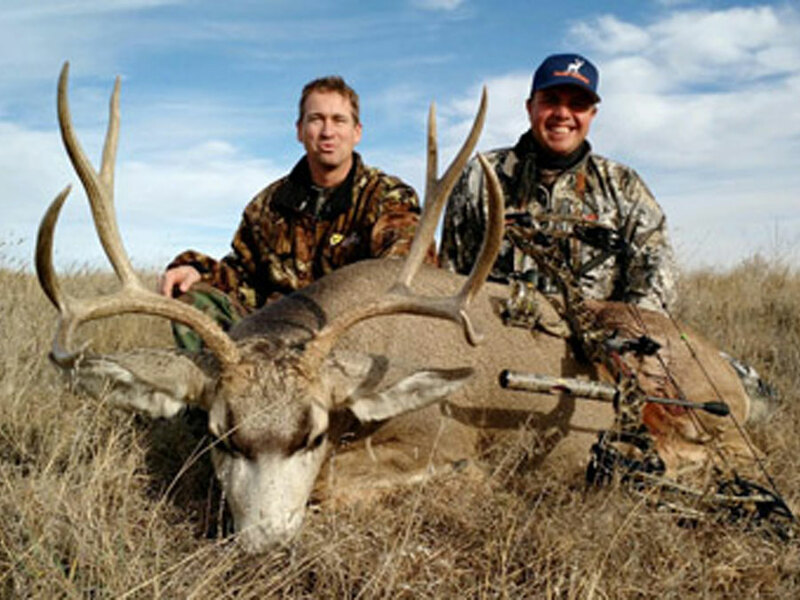 Archery turkey licenses are guaranteed even though you have to send in an application. 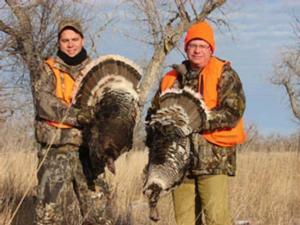 Gun Turkey licenses are through a drawing but there are several drawings and you are almost guaranteed a license. Unwind after a long day hunting in our newly remodeled ranch house. Our lodging is comfortable with everything a guy needs: running water and electricity, cable TV and Wi-Fi. Our delicious home-cooked meals will fill you up after a long days hunting. Occasionally we go out to a local restaurant for convenience and a change of pace. 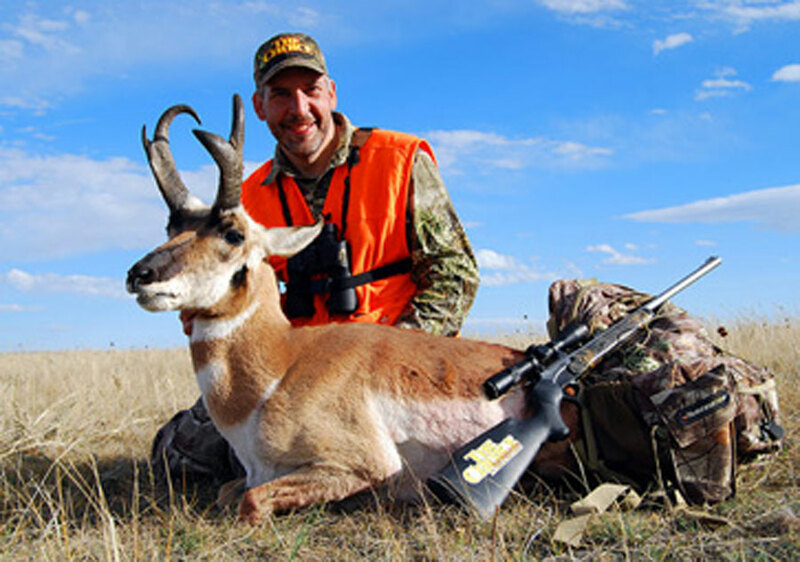 No matter where you eat while hunting with Routier Outfitting you won't go hungry. Routier Outfitting is owned and operated by Ryan Routier with the help of his older brother Randy. Routier Outfitting was started over 30 years ago by their mom Laurie. 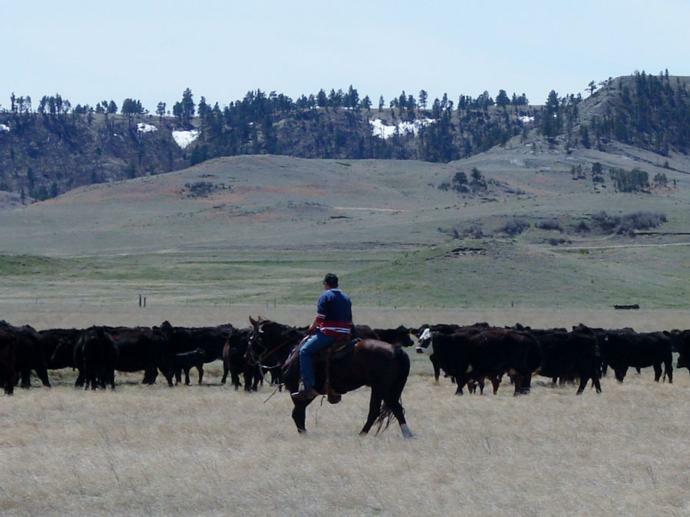 Raising three young boys while running a ranch any additional income was welcome. 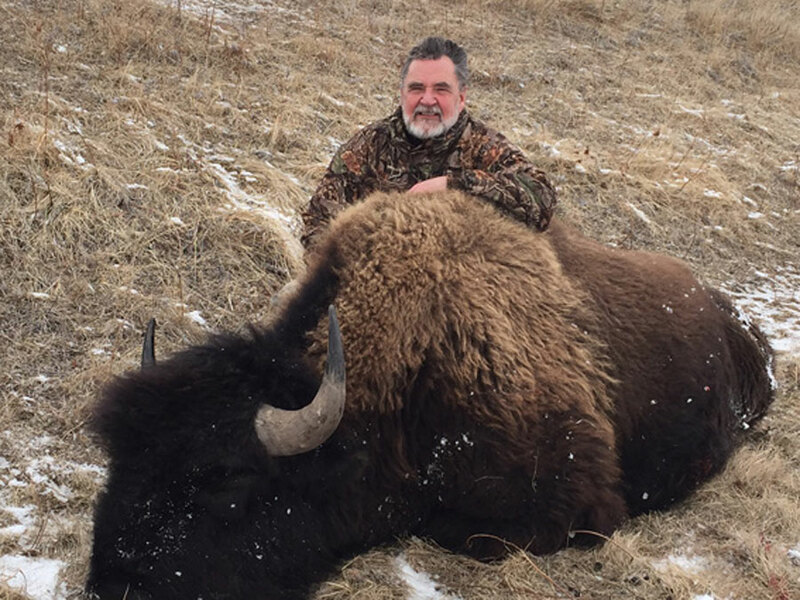 At first, it might have just been a day hunt to go hunt some antelope but Routier Outfitting just kept growing and growing.